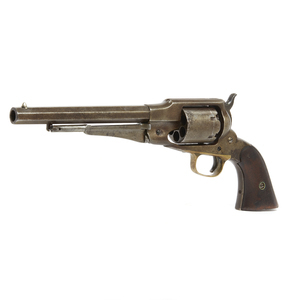 Remington Army 1858 revolver, .44 percussion. 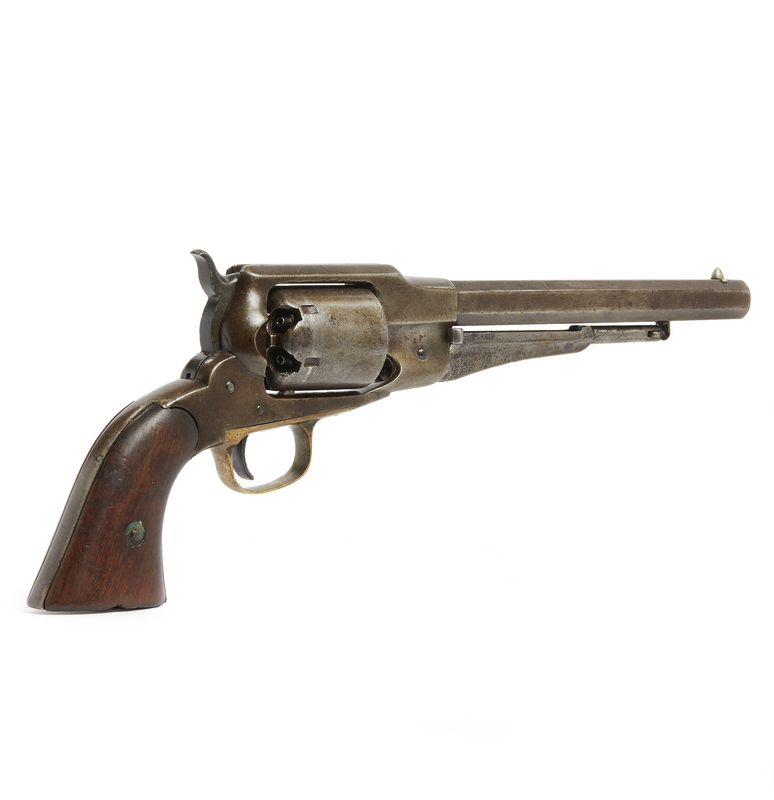 Serial number 3255 from 1861. A very nice martially marked 1861 Remington Army revolver with traces of original blue. Exceptionally crisp action. Dimensions: 10.5"l overall. Processing and shipping within the continental U.S. $25.00 plus 1.5% replacement cost insurance. Some pitting on cylinder and left shield and loading lever. Otherwise very good plus. Martial stamps on barrel. Witherell's strives to provide as much information and photographs as possible but encourages in-person inspection by bidders. Condition statements are only for general guidance and should not be relied upon as complete statements of fact and do not constitute a representation, warranty or assumption of liability by Witherell's. All lots are sold "AS IS" under terms and conditions.